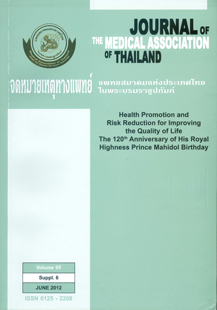 Core Competencies to Prevent and Control Chronic Diseases of Tambol Health Centers’ Head in Thailand. Chewing of Betel Quid: Why do Health Care Providers in Thimphu, Bhutan, Do It? Microbial Counts and particulate matter level in Indoor air samples collected from a child home-care center in Bangkok, Thailand.